Tight skin is the hallmark of youth for Munster and Hobart patients. All of us recognize that as we age and inflict the assaults of adulthood on our skin we begin to show wrinkles, skin laxity and skin weakness. The ability to tighten the skin and restore its youthful qualities has, to some degree been the “holy grail” of plastic surgery. We will be offering Thermi Treatments in three modalities in our Munster and Hobart area office: ThermiSmooth, ThermiTight and ThermiVa. Each is based on the same concept, that radiofrequency tightens skin, but each applies that energy in a different way for a different part of the body. For years we’ve had few options to treat fine lines and wrinkles around the eyes and “smokers’ lines” on the upper lip. ThermiSmooth is a nonpainful treatment performed in our Munster and Hobart area office which helps in both these troublesome and common areas of aging. The treatment uses a small handheld “wand”, the tip of which is applied to the skin over the wrinkles. Much like an ultrasound, gel is used to conduct the energy from the wand to the skin surface. There is no downtime and the treatment takes roughly 30 minutes depending on the areas treated. * Because collagen remodeling takes time, Munster and Hobart patients will typically see results in two to three months. * Most patients will need a series of three treatments, spaced a month apart. An annual treatment is recommended as maintenance. Another common area of concern is the neck. Munster and Hobart patients who are not candidates for facelifts or who don’t want the downtime of a surgical procedure are now able to have an in-office procedure under local anesthetic and see significant improvements. ThermiTight delivers the heat to tighten skin via a small probe which is gradually passed under the skin. Safety is always our number one concern and, in the case of ThermiTight, the skin temperature is monitored both at the probe tip and at the skin surface using a thermal camera. The procedure takes roughly an hour and aside from some modest swelling, patients do not complain of significant downtime or pain. * Often a single treatment is all that’s required although some Munster and Hobart patients may want to consider retreatment to further tighten their results. 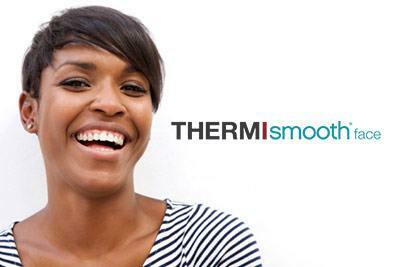 For more information about ThermiSmooth®, ThermiTight® or other Thermi Treatments, contact our Munster and Hobart area office at (219) 513-2015.